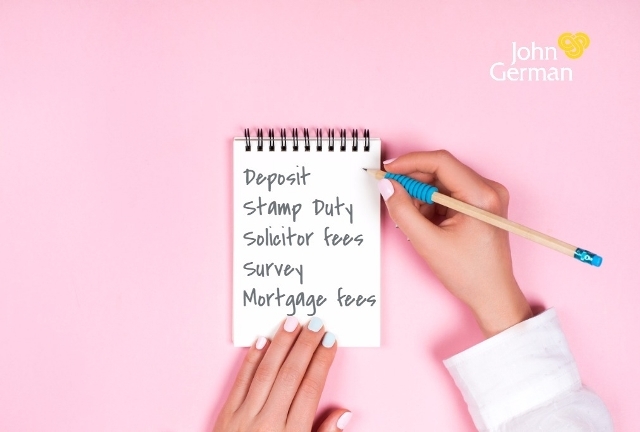 Our jargon buster will help provide you with a better understanding of the common terms and phrases you're likely to come across when purchasing a property for the first time. Housing built by Housing Associations or Registered Providers, with subsidies from the Government. Provided by lenders as a statement that this is what they are prepared to lend the named borrowers subject to the approval of the property. This will show any prospective seller that you are prepared and can afford the property. A short-term loan commonly used to cover or ‘bridge’ the overlap between the purchase of a new property and the sale of an old one, or where a property needs work in order to get it into a condition to be able to get a mortgage. The most detailed survey showing the structural condition of the property. When a property is purchased specifically to let/rent out to someone else. A property chain is created when there are multiple transactions that all need to occur at the same time for each sale and purchase to conclude. If you already own a property, it is likely that you will need to sell your current property in order to be able to purchase your new property, so all the transactions need to occur at the same time. If however, you are a first-time buyer you won’t need to sell in order to move, which arguably will make you an easier buyer to work with from a seller’s point of view. The longer the chain the greater the chance of one element of the chain not doing what they promise and as a result, this will break the chain and potential stop all of the buyers and sellers in the chain concluding their sales and purchases. The parts of a freehold building that are shared by the leaseholders eg the hallways and staircases. The finalising of the sale when all the monies are passed over and the buyer has the legal right to the take ownership of the property. The document drawn up by your solicitor showing all the costs and monies due to complete the purchase of your property. 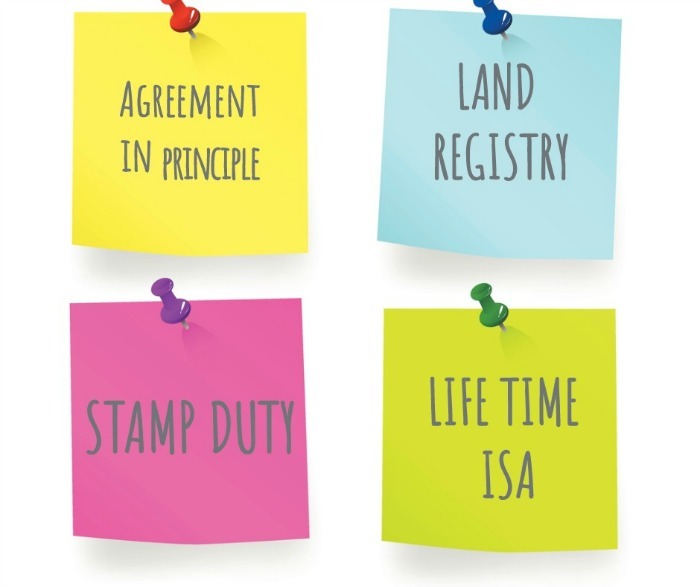 The process undertaken by the buyer’s and seller’s solicitors of transferring the legal ownership of property or land from one person to another. Original documents confirming the details of ownership. Fees paid by the buyer’s solicitor that the buyer will reimburse. The value of the property less any money that you owe that is secured against it. Negative equity is where the property is worth less than the mortgage you have on it. An Equity Loan is an amount of money borrowed based on a percentage of the purchase value of your property. The amount to be repaid is based on the same percentage of the final value of your home when you pay it back. When copies of signed contracts are exchanged between the buyer’s and seller’s solicitors and the point at which both parties are legally committed to the sale or purchase. The deposit is also paid over to the seller’s solicitor at the same time. The mortgage company will have the first charge against your property which means that their debt is paid before any other debt secured on the property. The list of non-structural items in the property that the vendor will confirm if they are part of the sale. The person who owns a property outright including the land it’s built on. Where the seller, having already accepted an offer, decides to accept a higher offer from another buyer. As both parties are only legally committed to the purchase after the exchange of contracts, the seller is legally entitled to do this. Asking the vendor to stop advertising and doing viewings at the property once your offer has been accepted will reduce the risk of this happening. When a buyer reduces their offer just before the contracts are exchanged in the hope of forcing the seller to accept less for the property. This can legally happen until the exchange of contracts. The person who processes your application under the Help to Buy Schemes. Mid-level property condition report suitable for conventional properties. It does not include a full structural survey. You might like this: Do I need a survey if I've had a mortgage valuation​? A blanket term for Not for profit organisations that have the aim of making homes available and affordable for all, including the managing of shared ownership schemes. The monthly payment only covers the interest due on the loan and so at the end of the mortgage term, the full amount of the mortgage advance will be payable to the lender. This type of mortgage is generally only used by investors or where you have another method in place in order to be able to repay the loan at the end. A form of ownership used when two or more people own a property. If one of them dies, their share of the property automatically passes to the other owners, regardless of the what it says in the deceased’s Will (also see Tenants in common). A public sector employee who is considered to provide an essential service, such as Healthcare, Education, Emergency Services and Local Authority. A central government database which registers the details of ownership each time a property is sold. The document between the leaseholder and the freeholder laying out the right and responsibilities of each party. The person who has a lease from the freeholder to occupy/own the property for a fixed period of time. ISA scheme allowing you to save up to buy a home where you can save up to £4,000 per year and the government will add 25% of the money you pay each year. Checks made with the local council to see if there are any issues that may affect the property. A property registered and protected as being of special interest or historic importance and for which you need to get permission from the local authority to make changes to. The amount a mortgage lender is prepared to lend you against the value of your property. If the property was valued at £100,000 and the mortgage lender’s maximum LTV for a scheme was 75%, the maximum mortgage would be £75,000. A loan secured against a property. A ‘first charge’ will be registered on the property so you can’t sell the property without paying off the mortgage first. If you don’t keep up the repayments the lender can repossess the property and evict you. The amount of money that the lender will lend you in order to purchase the property. This is the amount of time over which the mortgage lender will lend you the mortgage advance, at the end of the term the mortgage advance. One of the main schemes that provide warranties for new build properties. Someone that you appoint to act on your behalf for legal/financial affairs when you are not able to. The new term for Registered Social Landlord (RSL). This includes Housing Associations and Local Authorities. Your monthly payment pays the part of the interest and part of the money that you have borrowed. Over the length of the mortgage, typically 25 years, you will have paid all of the interest due and paid back the money borrowed. Royal Institute of Chartered Surveyors. Payments made by the leaseholder to the freeholder to cover the costs of maintaining and insuring the building. Where the leaseholders in a building each own a share of the freehold. Money paid to the freeholder to cover specific, normally larger scale works to the property. Also called ‘Tranching up’, it’s where you buy additional shares of your home under a shared ownership scheme. Is the main mortgage interest rate charged by a lender and normally the default rate when fixed-rate deals come to an end. It is based on the Bank of England Base rate. Offers are accepted subject to contract meaning that they are finalised once contracts are signed and exchanged. Where the vendor has accepted an offer from a buyer and the exchange of contracts is awaited. The check undertaken by the mortgage lender to assess the value and condition of the property. "Great experience dealing with the team at Burton, very professional and made the whole process very simple and easy, couldn't recommend them enough."